One nation becoming two- looking into an arduous process ridden with violence, and sketching out the struggles with the legacies of an already troubled history, are the motivations for this publication on the Republic of Sudan and the Republic of South Sudan. The governments and societies of the two countries are facing challenges of internal disunity and deepening social and economic cleavages. Armed fighting for inclusion in positions of power, for access to resources and economic development, and for recognition of the interests of marginalized groups have mounted and escalated in each country. In their attempts to stay n power, the two governments have adopted the same approach: increased repression of critics, military response to armed resistance groups, and perpetuating patronage-based authoritarian regimes. Interventions of the international community, more often than not, have played into the hands of the divisive politics of the two governments. Beyond their power struggles, the two countries have to cope with remaining interdependent as neighboring states, as well as being embedded in the region. The papers collected in this book are like spotlights illuminating facets of the complex consequences of the division of Sudan into two states. Many of them provide insights into a particular social setting focusing on specific actors and their interrelations, and some consider the links to the wider social and political context. 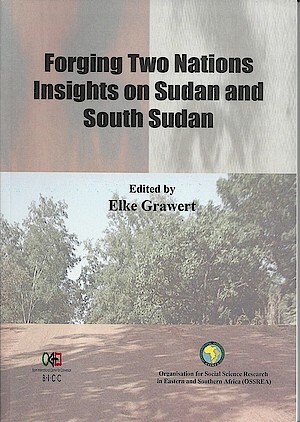 As a whole, this collection provides a concrete account of efforts in development and conflict resolution, of a range of actors and their potentials and limitations, and of the risks and limitations of foreign assistance in Sudan and South Sudan after the division.